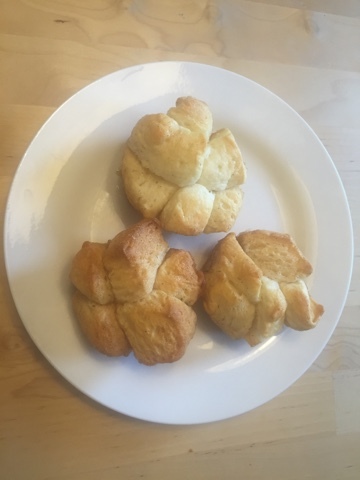 Every few months I make mini monkey breads usually at the request of Penelope or my sister if she is visiting. My Aunty Sandy used to make this years ago using frozen bun dough that you could find at this specialty store she went to in Saskatoon. It closed down and sometimes she was able to find it at a grocery store. I use pilsbiry biscuit for my monkey bread. 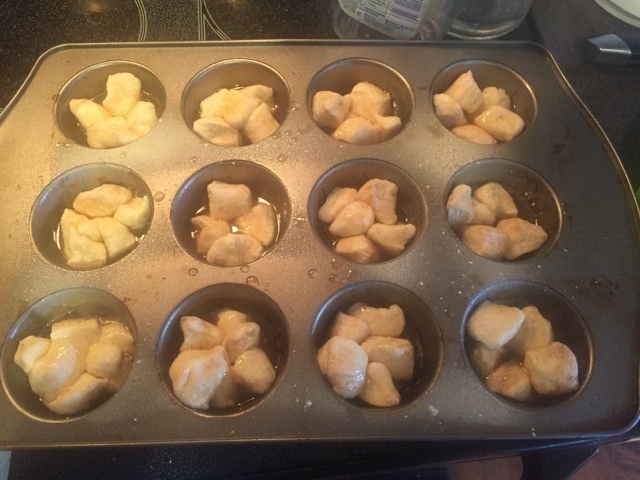 The first thing I do when I make monkey bread is spray the muffin tin. If I don't do it right when I start then it won't get done. Everything comes out so much more nicer when done this way. My Aunt also made hers in a bundt pan which I also used to do but I found that when I used my bundt pan, I never got the dough cooked all the way through. This solves this problem. 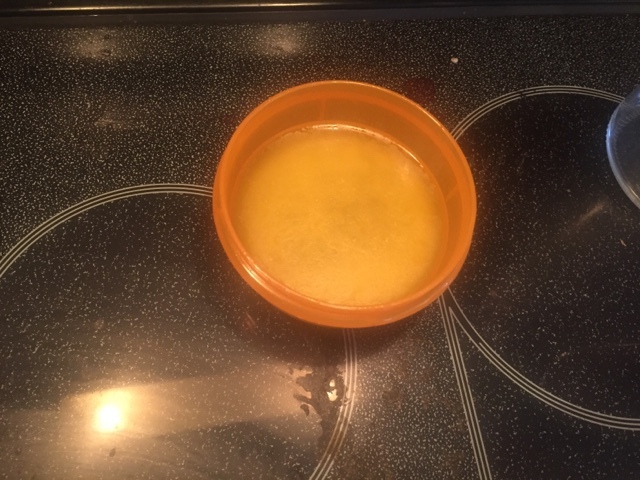 Next I melt some butter and then add some maple syrup and stir it together. I melt the butter in the microwave for about :40 seconds. I also turn my oven on to 350 at the same time. Next I open my tube of Pilsbury biscuits and cut up the biscuits anywhere from 4 pieces to 6. I don't think size is that important. Next, I grab a small bowl and throw in some sugar and some cinnamon and mix it together. I think you can buy premix cinnamon sugar from epicure or other stores but not sure. This works just fine though and way cheaper too haha. Then I dump the sugar cinnamon mix on top and shake it up to make sure all the biscuits are covered. Then I take a tablespoon - an actual tablespoon, not a measuring spoon - and put one scoop of the syrup butter sauce in each muffin tin. 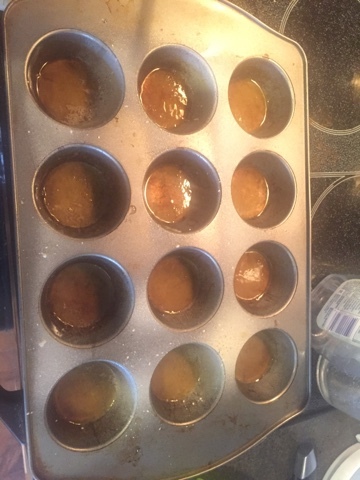 Then you put in a few biscuit pieces in each of the muffin tins and top with additional syrup. Put them in oven for 15 minutes or until golden brown on top. And then serve them up. They are a favourite here for sure but since they are so sinful we only have them every few months or if we have house guests. If you like them really sticky, you can add more syrup but we don't like them like that. Or at least I don;t like the mess so we don't do them very sticky or syrupy. 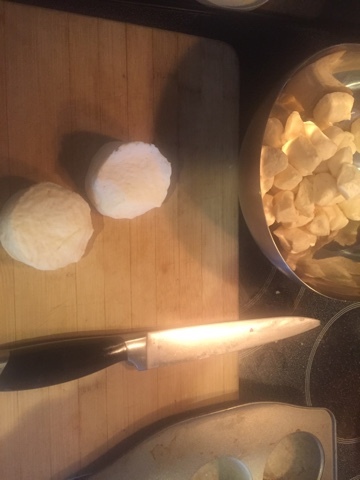 I don't have a recipe to share since I just basically wing it, I tried to find one that was as close as possible for you to try here. The only difference is that I top with syrup at the end too. 1Grease or spray 12 regular-size muffin cups. 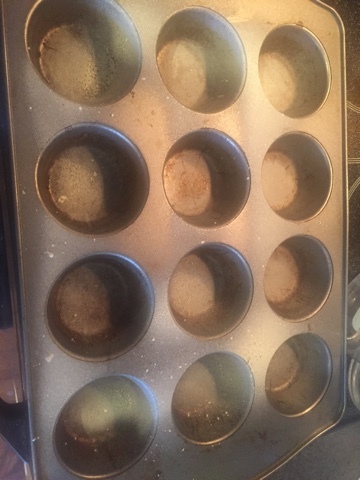 Mix butter and brown sugar; spoon 1 tablespoon mixture into each muffin cup. 2Mix granulated sugar and cinnamon in 1-gallon bag. 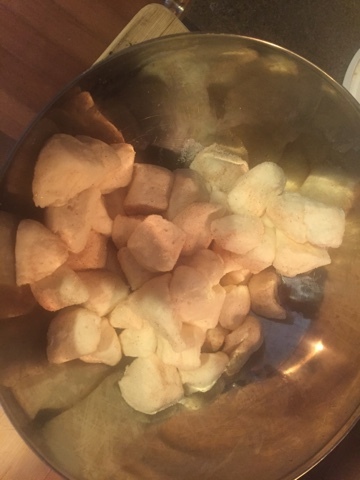 Separate dough into 20 biscuits; cut each in 6 pieces. Shake pieces in bag to coat. Place 10 pieces in each muffin cup. 3Bake at 350°F for 12 to 15 minutes or until golden brown. Cool 1 minute; turn upside down. Serve warm.